More than just a business, everyday Energy has embraced the role of advocating renewable energy and sustainability programs, while also being a moving force in creating the low-income solar housing market in California. We truly want to “bridge the green divide” by helping lower-income families and property owners alike reap the benefits of clean, green electricity. Everyday Energy came up with the original draft of the bill for SOMAH before working with the California Solar Energy Industries Association [CALSEIA] and the California Environmental Justice Alliance [CEJA] to get the idea in front of California State Assemblywoman, Susan Talemantes-Eggman. Introduced as AB 693 to the state assembly, SOMAH was presented as an initiative that the state of California could finance using the funds generated by the auction of greenhouse gas emission credits— a part of the state’s cap-and-trade program. With the help of testimony from Randall Simmrin, the Executive Director of a nonprofit owner group of affordable housing properties in the state, SOMAH was passed in January 2015 and signed into law by Governor Jerry Brown in October 2015. After two years of review by the California Public Utilities Commission (CPUC), AB 693 was implemented as the Solar Multi-Family Affordable Housing [SOMAH] Program in December 2017. SOMAH is now ready for primetime—with roughly $200 million already available to get the program started. Our team approach on this landmark piece of legislation has ensured its success and made it happen. It’s something we’re extremely proud of. 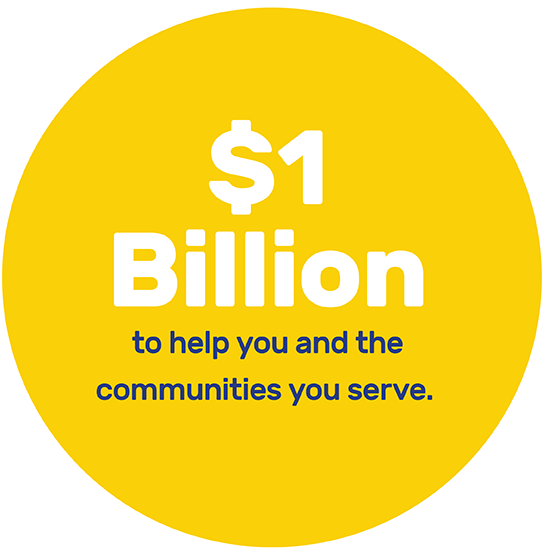 SOMAH is our most ambitious and successful advocacy project to date—now providing up to $1 billion in solar rebates to multifamily affordable housing property owners beginning in Summer 2018. At the same time, the program will dramatically change the way California’s affordable housing residents receive and pay for their electricity. There are roughly 3,500 to 4,000 multifamily housing properties that will be able to advantage of these funds. As the originators and champions of this exciting new rebate program, no one is better positioned than Everyday Energy to help put this money to work for you and your developments. We now look forward to taking our groundbreaking policy vision to other states throughout the country. Have more questions? We’re here to help. Call us at (760) 533-2470 or submit your questions below. “CALSEIA greatly appreciates the leadership of Assembly Member Eggman on AB 693 to create the SOMAH Program, and the efforts of the CPUC to get this important program started. Let’s power the possibilities together. Call us now or fill out some info to get started.